Video editing is a fun and rewarding hobby. You can edit videos on a Mac or PC, and even on your iPad or smartphone! There is almost always something new to learn about video editing, whether you’re a beginner or an advanced user. VidProMom exists to help edit your hobby videos, family movies, and GoPro edits so you can share them with friends, family, and future generations. Click here if you’re brand new to video editing. 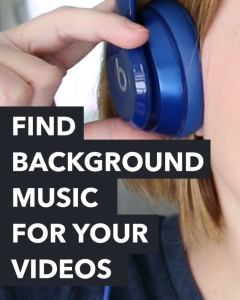 Curious where to find great background music for your videos? Background music often determines whether a video is fun to watch or not! But finding music to use with permission sometimes trips video creators up.